Just made a quick card for the Skipping Stones and Hero Arts contests. 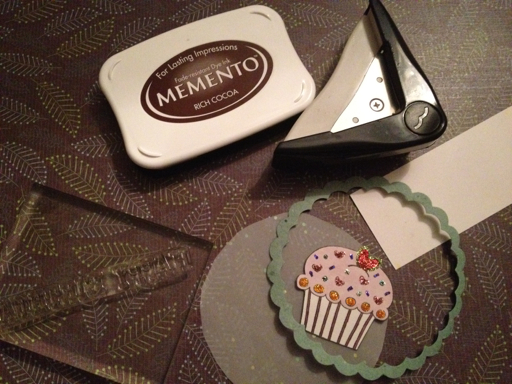 I already had the cupcake, so I just choose some papers for the circle and card, and added the greeting. Will add some more info tomorrow since it's late now. Ok, now it's a new day and I have more time to describe the card. 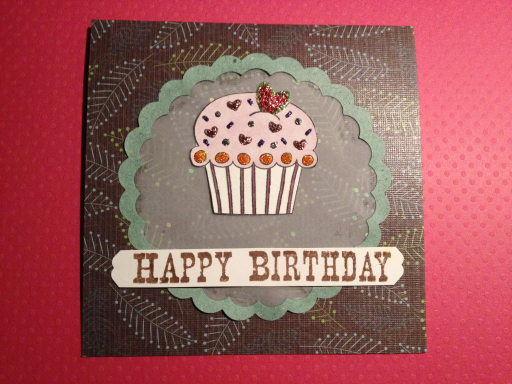 The cupcake is from Hero Arts Happy Birhtday Cupcakes, and I had painted it and added stickles previously. 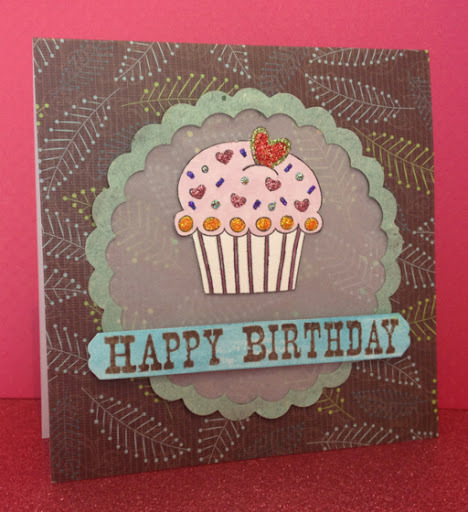 The card was cut from a cardstock from the Green set (or something similar). The circle was vellum with metallic dots on (greenish, hard to see on the photo). The scalloped ring were cut previously with Åsas Big Shot, and the greeting is from HA Frame a Message. Your card is so adorable! Love all the sparkle!